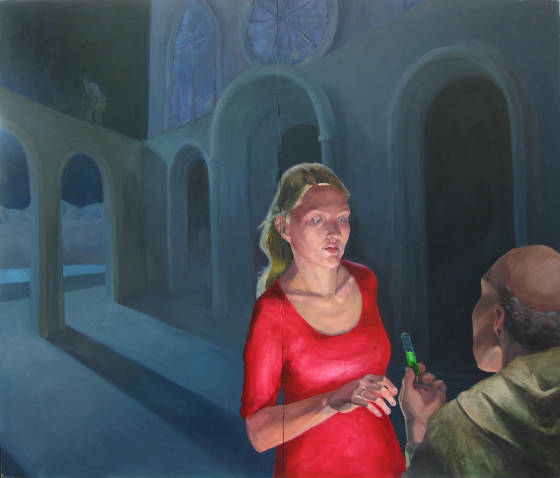 The Shakespeare Project is based on the plays of William Shakespeare, each painting attempts to mimic the experience of watching a play by translating Shakespeare's dramatic storytelling devices. Katherine Knight grew up in Columbia, South Carolina. She received a BA from Centre College, and an MFA from American University. She has also studied painting at the School of the Art Institute of Chicago, and the Slade School of Fine Art in London, England, and was an artist in residence at the Burren College of Art in Ballygaughn, Ireland. She currently divides her time between Frankfort, Kentucky, and Washington, DC; where she is an adjunct professor of Fine Art at the Corcoran College of Art, and Prince George's Community College.